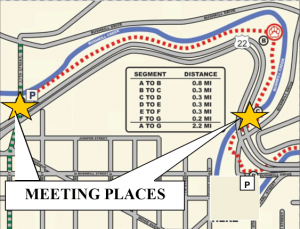 Meet either at the Blue Bridge off of Bushkill Drive (park @ KSAT lot @ 500 Bushkill Drive) or at the 13th Street trailhead lot. Gloves and garbage bags will be provided. Hiking boots, long pants, long sleeve shirts and work gloves are recommended. HERE is the SCOOP! 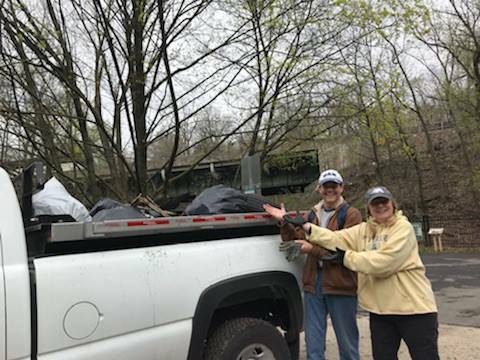 This year’s Trail Clean up Volunteers will each be thanked with a coupon for a FREE scoop of ORGANIC ICE CREAM (cup or small cone) from the OWOWCOW CREAMERY at the Silk Mill. Coupon good for Saturday April 20, beginning at 11:00 opening time. Are you unable to help clean up but would like to donate to the trail? The Karl Stirner Arts Trail will not compensate, whether through commissions, finders’ fees, or other means, any third party for directing a gift or a donor to the Karl Stirner Arts Trail.